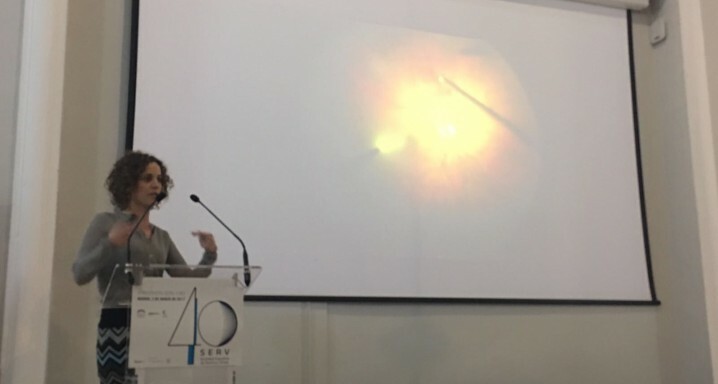 Dr Anna Sala Puigdollers, the retinologist at the Institut de la Màcula, presented a communication at the Congress of the Spanish Retina and Vitreous Society (SERV) in Madrid last week. She addressed the Second SERV ≤40 Meeting, which is devoted to work presented by investigators who are under 40 years old. Dr Sala’s communication was included in the Meeting’s first round table, which focused on vitreoretinal surgery and was moderated by Jesús Pareja (Hospital Gregorio Marañón Hospital) and Guillermo Fernández Sanz (Jiménez Díaz Foundation in Madrid). Anna Sala explained her experience of 27 gauge microincision vitrectomy.